Description: Explore and search every corner in five different places. Find 10 hidden objects from the list at the top of the screen.. 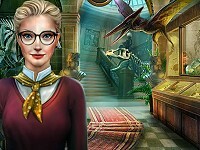 Adventure Horses is a Hidden Object Games.